“This will change the face of communications for much of Queensland,” technology tycoon and former state chief entrepreneur Steve Baxter told The Sunday Mail. “This is the equivalent of building the Bruce Highway, but better – an infinite-lane freeway offering unlimited capacity for the regions. “It is hard to get across the scale of this. The benefits will be massive,” said Mr Baxter, a judge on TV’s Shark Tank. 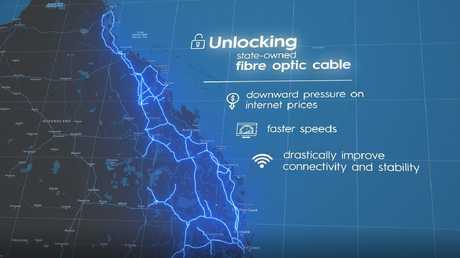 “Fast and reliable internet is vital when it comes to running a business,” Ms Palaszczuk said. “You should get the same quality service as someone in Brisbane, for the same price. It depends on the providers’ packages, but modelling suggests wholesale access could be up to 10 times cheaper.